As is the case with many people who are not Right Wingers, I only tend to see Fox News in clips shown on The Daily Show. From time to time, I do try to sit through The O’Reilly Factor and Hannity, in order to know what the other side is saying. In previous attempts, this has led to some Twitter rants and high blood pressure on my part and I have never actually made it all the way through the shows. On this occasion, I am going to watch the Fox News mainstays and provide a play-by-play and my reactions – watching on delay in order to fast-forward through the commercial breaks. I am warned I am entering the No Spin Zone, we will see. He has two guests: Nile Gardiner, representing the Right; Tamara Draut for the left. First up is the violence in Oakland – O’Reilly does acknowledge that the Occupiers started out with a valid point, but they have been hijacked by extremists intent on violence. They are very quick to label the protestors as Marxists or Communists – it has been a while since I studied The Communist Manifesto, but I do not remember part of Engels’ and Marx’s theory including a plan to raise the marginal tax rate on the highest earners by 3%. The discussion moves on to Europe and the state of the Greek economy. O’Reilly is baffled why the Occupiers don’t trust the free market when the Greek economy is state-run (his words) and that has so clearly failed. The answer should be: Do you remember 2008? Do the phrases “toxic assets”, “mortgage-back securities”, or “$800bn bailout of the banks who were too greedy to control themselves” ring any bells with you, Bill? Draut’s answer is: Germany’s state-run economy works because it does not have a problem taxing millionaires – which just leads to a debate about what that particular tax rate is, neither O’Reilly nor his guests know (it is 45% on everything over 250,000 Euros – current unemployment rate 5.9%). Bill puts Draut’s point, that an efficient government like Germany shows that you can have a country with entitlements and a strong economy, to Gardinr, who dismisses it as impossible – as if Germany is a fictional land, like Narnia. The host closes out the segment by telling Draut that everyone knows that Portugal, Spain, Italy and the UK have failing economies because they have spent too much on “social justice” (said with much derision). She fights back by pointing out that it was actually the de-regulation of the financial markets that have ruined economies across the globe. O’Reilly – 1, Truth- 0. 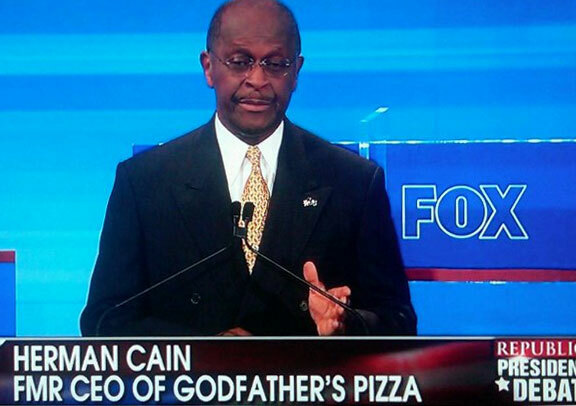 The focus shifts to Herman Cain and the revelations that there were sexual harassment claims made against him during his time as head of the National Restaurant Association. O’Reilly has Laura Ingram on to discuss this, but the piece is all about who dug up these allegations – Perry or Romney – and how the infighting in the Republican party will help non-conservatives “Obama” (that’s President Obama to you, and the rest of us, Ms. Ingram) and Mitt Romney – which, to be fair, is a subtle, but funny, diss. There is an aside for Bill and Laura to belittle the President, by saying nobody listens to him in Europe, nor gives him any credibility on the economy on either side of the Atlantic – just to remind you this is a segment about sexual harassment cases that were settled by the front-runner for the Republican Presidential Nominee. 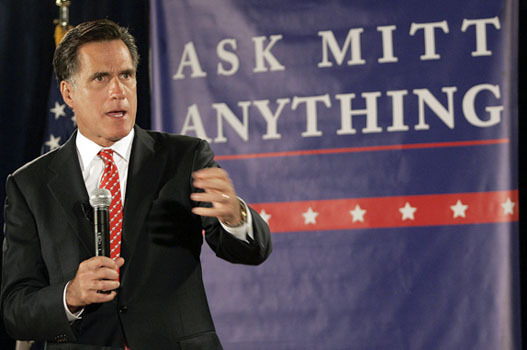 The conversation goes to the next Republican debate and Ingram implores Perry and Cain to attack Romney, and sees Gingrich as a possible candidate to be the “last-conservative man standing against Romney”. They talk about Cain’s campaign and how seriously it can be taken, especially after this ad – Laura Ingram uses this as an opportunity to say that the Obama administration flew in fake doctors in white coats for the “Obamacare” passage press conference…okay …that was a non-sequitor if I ever heard one. This much-hyped segment is all about the Department of Justice spending $16 on a muffin – which I believe was news about three months ago. It is a fluff piece, complete with cutaways from movies of people talking about muffins, orange juice, and coffee. I have nothing more to say about this – this is the most a TV show has focused on breakfast outside of Walt Jr., in Breaking Bad, appearing solely for the most important meal of the day. Bill has Gretchen Carlson (who I know from many a Daily Show segment where she contradicts herself inside an hour on Fox & Friends) and Margaret Hoover on to talk about a bill introduced by Richard Blumenthal (D, CT) to help provide diapers to parents who cannot afford them. Gretchen points out that this money has already been given to the states, but this allows them to spend it on diapers. O’Reilly thinks it is ridiculous, and Gretchen says diapers are bad for the environment and she was concerned about that. This seemed to be a non-issue and yet they spent several minutes on it – apparently this segment is called the “Culture Warriors” and they spend a lot of time congratulating each other and high-fiving. Next, we have The Kelly File – with Megyn Kelly. Firstly, there is the case of a teacher who sued after not being allowed to go on a religious retreat to Mecca – the case was settled, Bill was against this, Megyn defends the woman’s right to do the Hajj. O’Reilly makes fun of the calling Muslims feel to carry out this retreat, thinking the woman just wanted to get some time off work for a holiday. They discuss the Janet Jackson wardrobe malfunction at the Superbowl from many years ago – a judgement was issued today that CBS was not responsible for the…exposure. The segment ends with Kelly chastising O’Reilly for his lack of religious tolerance, as well as he view on parental leave. Go Megyn (even if you’re spelling your name wrong)! News quiz time – and it is about the Wild West. The questions are about The Sundance Kid, Billy the Kid, Doc Holliday, Gunsmoke and the first black sheriff – not exactly putting the “new” in “news”. 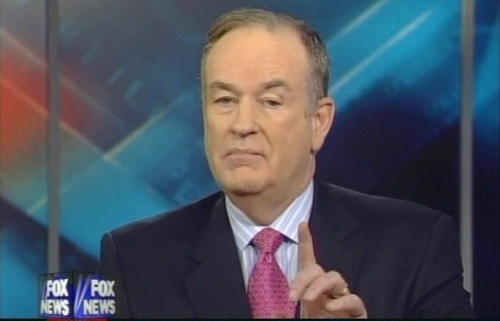 Pinheads and Patriots time – where O’Reilly passes judgement on the world. Solyndra’s former CEO is a pinhead as he got a payout when he left – oh and that is it. The word of the day is pedantic, apparently. I have survived the first hour of Fox News programming, mostly because the last 30 minutes was filler and quizzes, and Megyn Kelly taking Bill O’Reilly to task for his intolerance. On to Hannity – it is at this point I wish I had stocked up the fridge with some beers, to help gloss through this next hour.